Back Bay Books, 9780316185912, 304pp. Discuss the thought experiment referred to in Grace’s trial, also known as “The Plank of Carneades.” Is either the first or second swimmer to reach the plank justified in pushing the other swimmer away? If you were to ask Grace what qualities she looks for in a friend, what would she say? What would the truth be? Seventeenth-century political philosophers Thomas Hobbes and John Locke postulated that humankind started off in a state of nature and gradually gave up certain freedoms in return for security, an exchange sometimes called the social contract. How does the lifeboat approximate a state of nature? Does survival in such a state require giving up personal freedom and autonomy? Some modern writers assert that the advances in opportunities for women have been predicated on the requirement that women become more like men. Do you agree with this? Are people more likely to revert to traditional male/female roles in crisis situations? What traditional male/female traits might help a person survive? 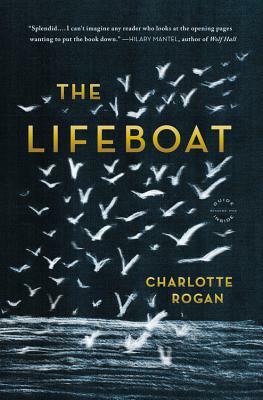 Author Warren Farrell, who writes about gender issues, has said: “Men’s weakness is their façade of strength; women’s strength is their façade of weakness.” Does this hold true for the characters in The Lifeboat? In his book In the Heart of the Sea: The Tragedy of the Whaleship Essex, Nathaniel Philbrick argues that an “authoritarian” leadership style is useful in the early stages of a disaster, but a “social” style becomes more important over time. Does this dynamic fully explain the power struggle in Lifeboat 14 or were other forces at work? Does power always involve the threat of coercion? Besides violence, what forms of power influence the characters in The Lifeboat? The first thing a person says is often more honest than later explanations. Are there instances in the book where a character’s early words are a clue to assessing the truth of a particular situation or incident? Do you think Mr. Hardie stole or helped to steal anything from the sinking Empress Alexandra? Would this have been wrong, given that any valuables were destined to be lost forever? Should Grace have been acquitted of Mr. Hardie’s murder? Comment on the use of storytelling in the novel. Does your answer shed any light on Grace’s own story?